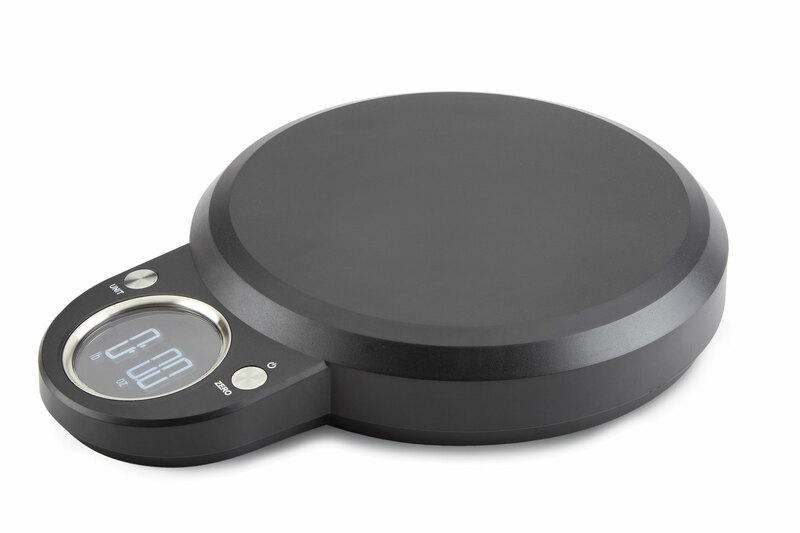 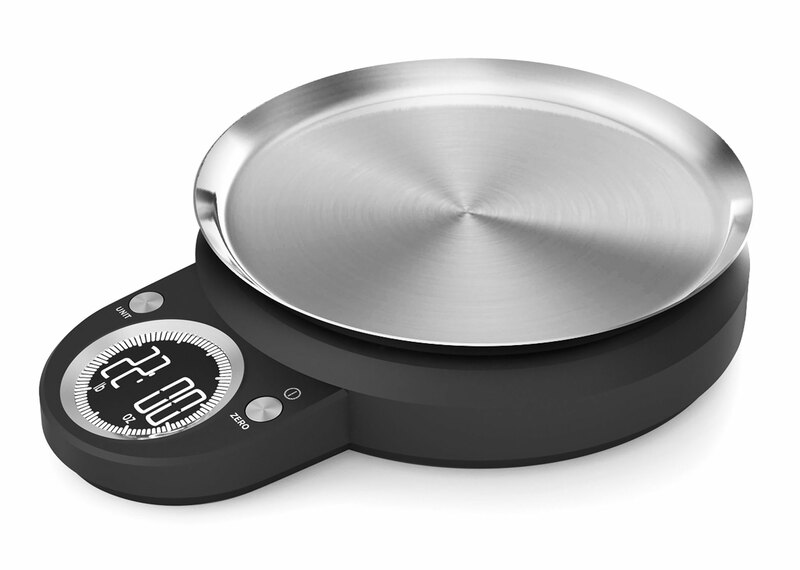 The All-Clad Kitchen Scale with Touch-Pad Control provides precise measurements, which is an essential factor in cooking and baking. 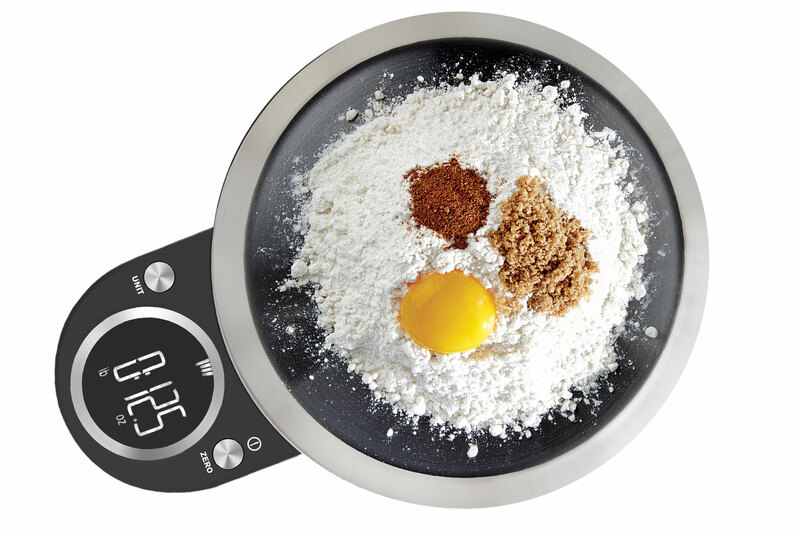 Weigh ingredients to ensure accurate and consistent results every time. 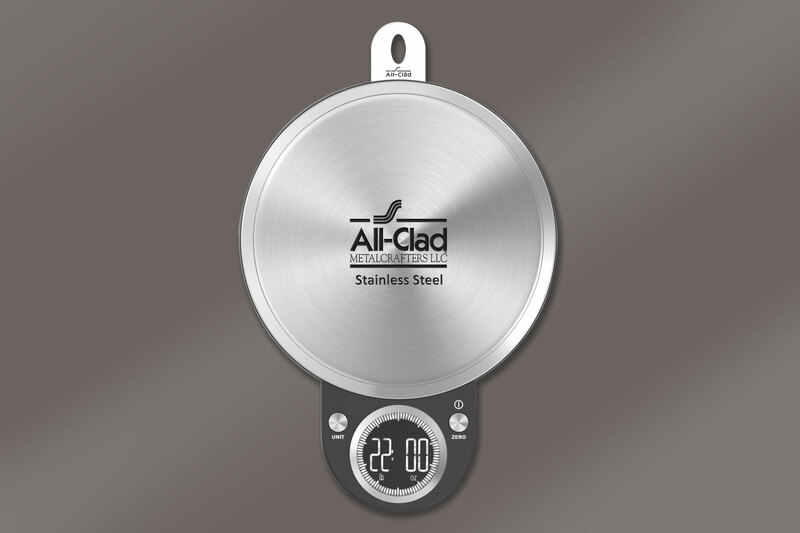 This scale has the ability to weight various foods and ingredients with a maximum capacity of 22-lbs. 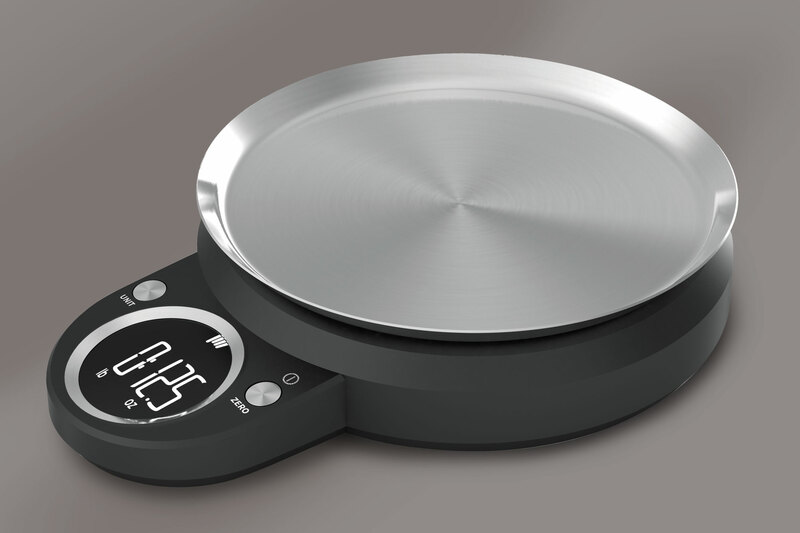 Provides specific unit measurements in both imperial (oz, fl, and lb) and metric (g, ml, and kg). 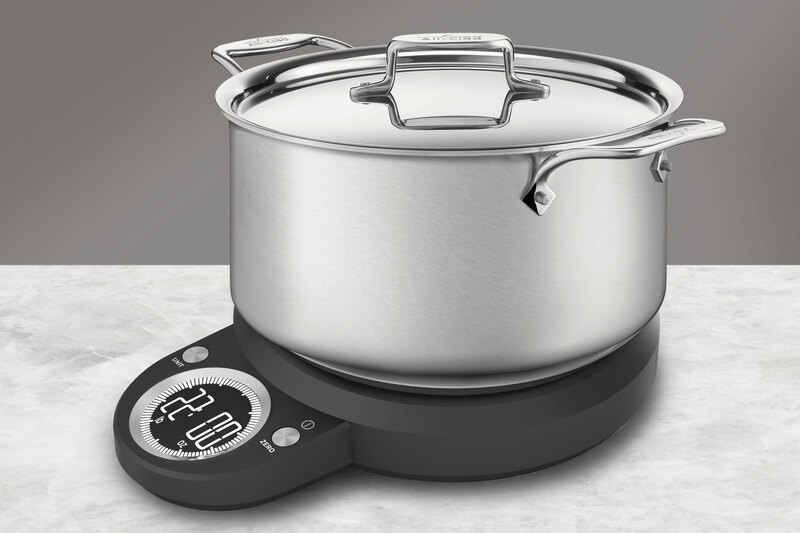 Use the Tare/Zero function to remove the weight of each ingredient before adding the next one to have precise results each time. 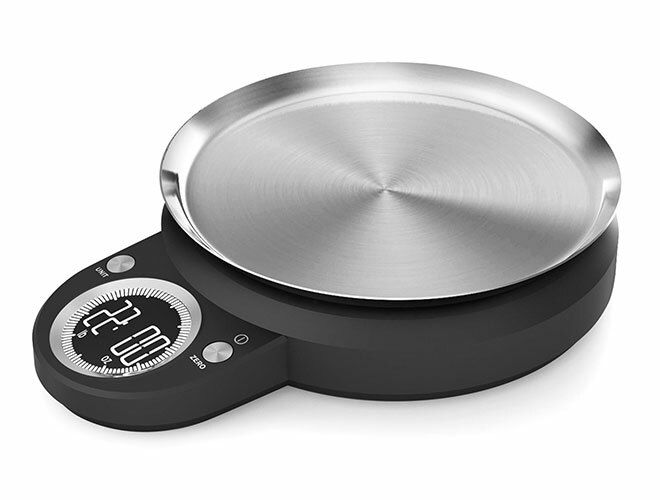 The last unit measurements used are conveniently recorded. 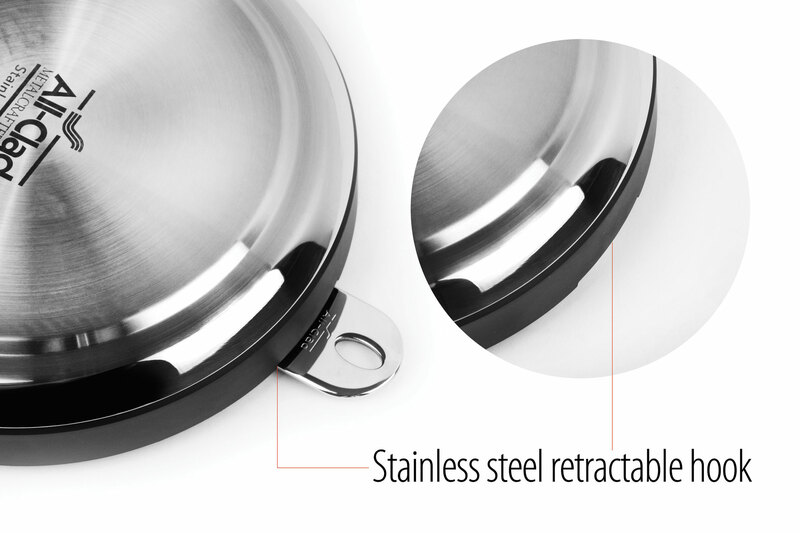 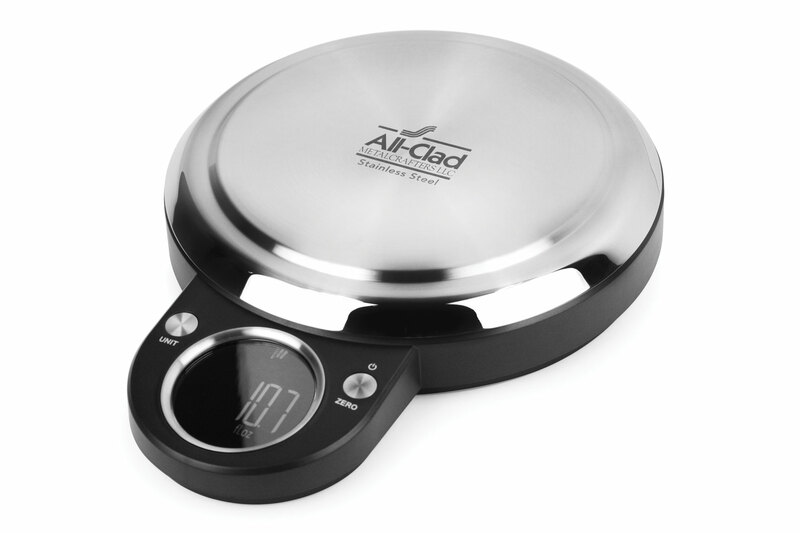 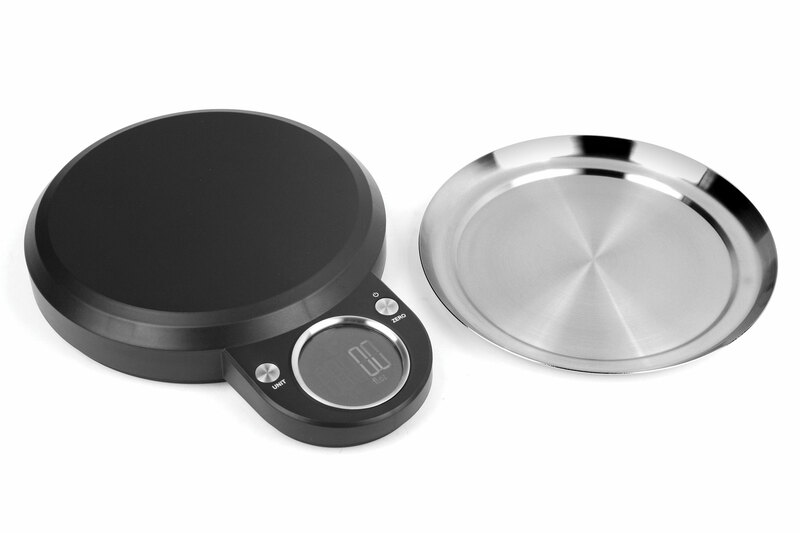 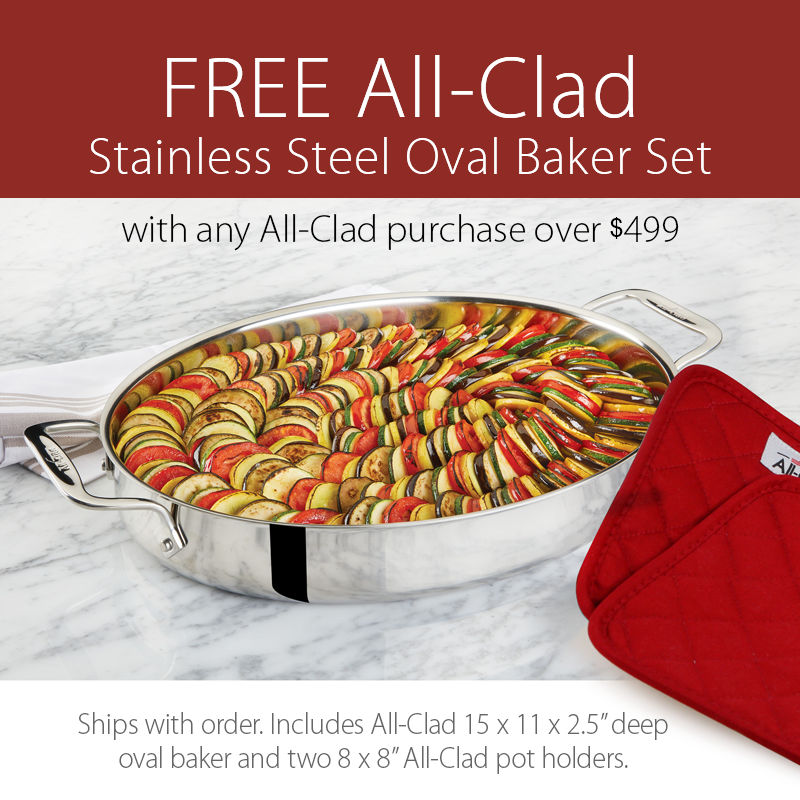 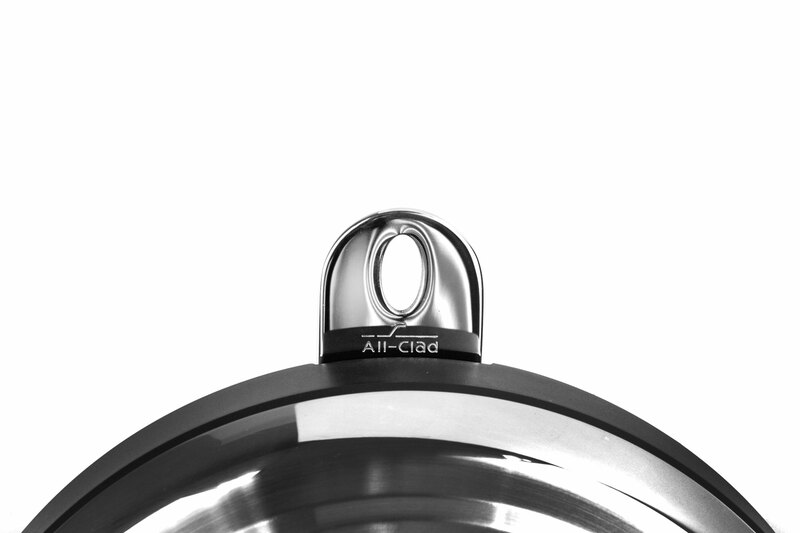 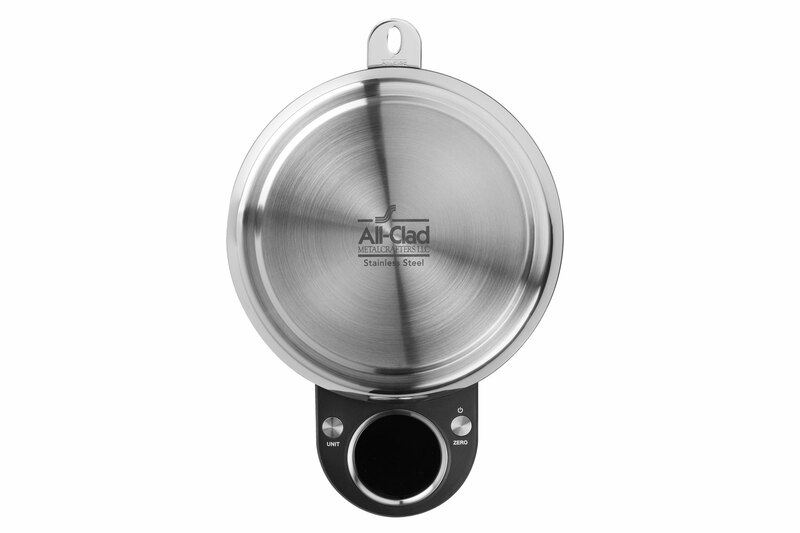 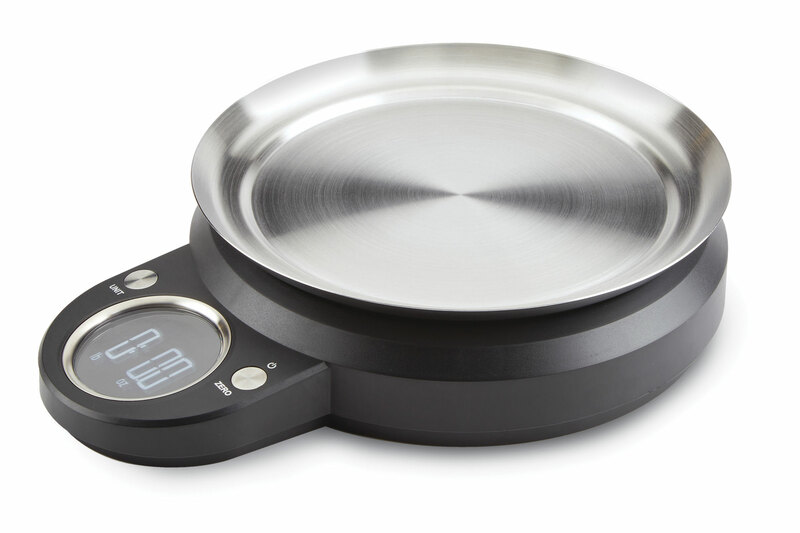 Ingredients can be weighed and easily transferred with the 9-inch stainless steel removable plate. 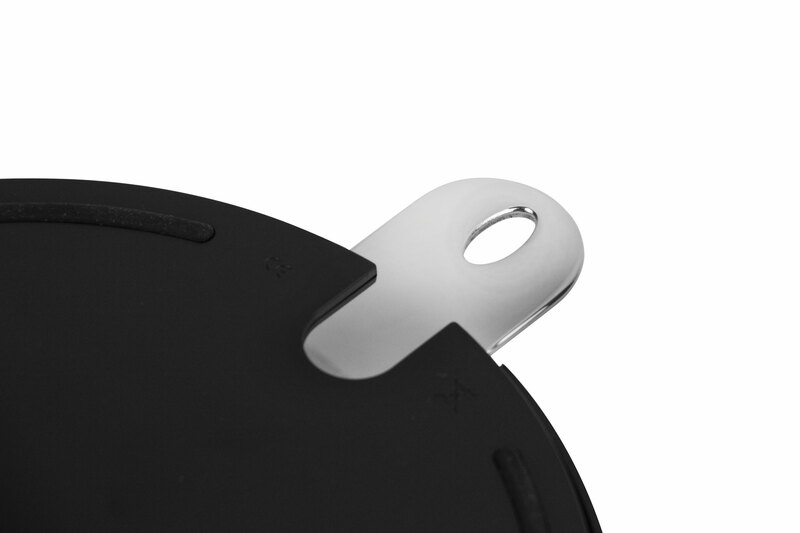 Storage is easy with the unique retractable hook. 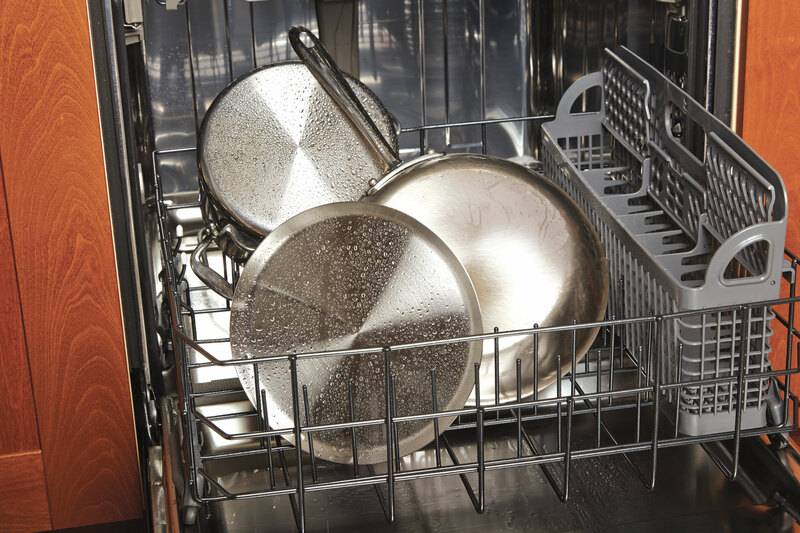 Simply reverse the magnetic plate and hang the scale on a wall or pot rack for a beautiful kitchen accent or retract the hook for easy drawer storage.